If you are looking for durable and energy-efficient house windows for your home in the Lebanon, Missouri, area, turn to the professionals at ABC Seamless Siding & Windows. We have been installing windows for homeowners in the area since 2007, and our dedication to customer satisfaction has allowed us to maintain an A+ rating with the Better Business Bureau. At ABC Seamless Siding & Windows, we offer two window product lines, so you can get durable, top-quality house windows for your home in the Lebanon area while also staying within your budget. No matter which of our windows you choose, however, you can be sure that they will feature fusion-welded vinyl frames, making them exceptionally resilient and long-lasting. Plus, vinyl frames are low-maintenance: they are not susceptible to rotting and warping, and they’ll never need sanding and repainting the way wooden frames do. In addition, you can feel good that you’ve made a solid investment when you work with us, as our windows come backed by an unbeatable lifetime warranty on the frames and against glass breakage. 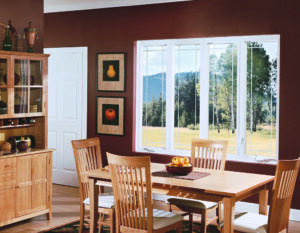 To learn more about our superior quality house windows, contact us today. We proudly serve homeowners throughout the Lebanon, MO, area.